Inspired by classic generative adversarial networks (GAN), we propose a novel end-to-end adversarial neural network, called SegAN, for the task of medical image segmentation. 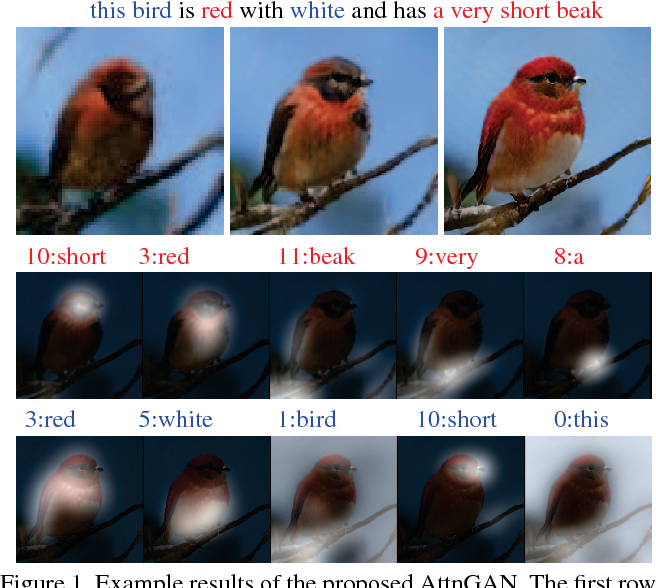 Since image segmentation requires dense, pixel-level labeling, the single scalar real/fake output of a classic GAN's discriminator may be ineffective in producing stable and sufficient gradient feedback to the networks. Instead, we use a fully convolutional neural network as the segmentor to generate segmentation label maps, and propose a novel adversarial critic network with a multi-scale $L_1$ loss function to force the critic and segmentor to learn both global and local features that capture long- and short-range spatial relationships between pixels. In our SegAN framework, the segmentor and critic networks are trained in an alternating fashion in a min-max game: The critic takes as input a pair of images, (original_image $*$ predicted_label_map, original_image $*$ ground_truth_label_map), and then is trained by maximizing a multi-scale loss function; The segmentor is trained with only gradients passed along by the critic, with the aim to minimize the multi-scale loss function. We show that such a SegAN framework is more effective and stable for the segmentation task, and it leads to better performance than the state-of-the-art U-net segmentation method. We tested our SegAN method using datasets from the MICCAI BRATS brain tumor segmentation challenge. 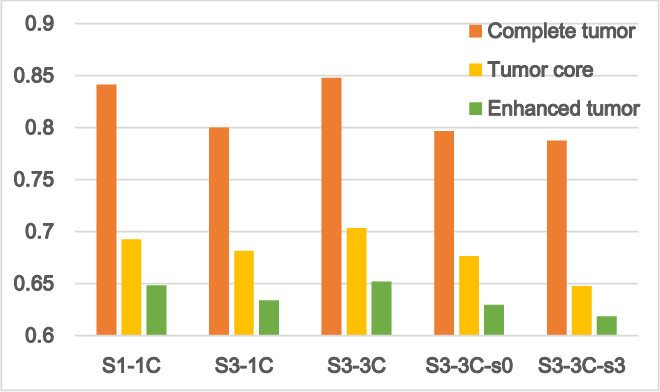 Extensive experimental results demonstrate the effectiveness of the proposed SegAN with multi-scale loss: on BRATS 2013 SegAN gives performance comparable to the state-of-the-art for whole tumor and tumor core segmentation while achieves better precision and sensitivity for Gd-enhance tumor core segmentation; on BRATS 2015 SegAN achieves better performance than the state-of-the-art in both dice score and precision. 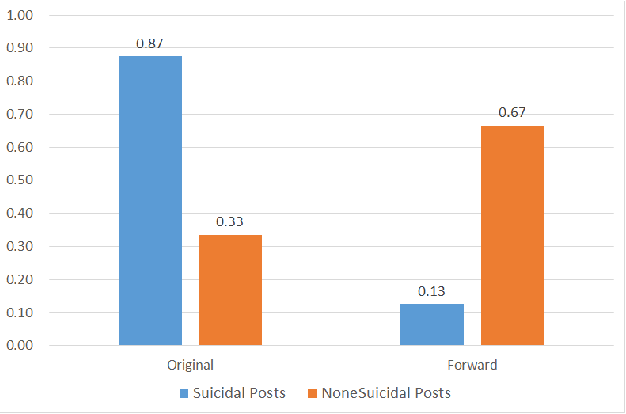 If people with high risk of suicide can be identified through social media like microblog, it is possible to implement an active intervention system to save their lives. Based on this motivation, the current study administered the Suicide Probability Scale(SPS) to 1041 weibo users at Sina Weibo, which is a leading microblog service provider in China. 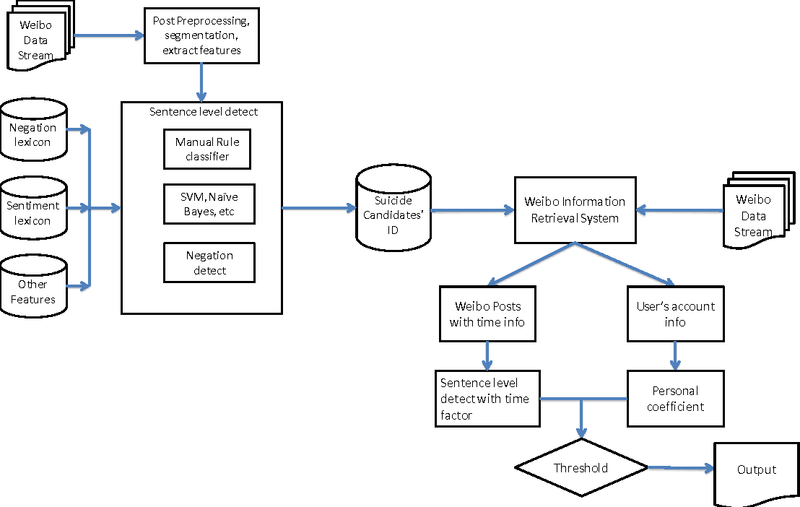 Two NLP (Natural Language Processing) methods, the Chinese edition of Linguistic Inquiry and Word Count (LIWC) lexicon and Latent Dirichlet Allocation (LDA), are used to extract linguistic features from the Sina Weibo data. We trained predicting models by machine learning algorithm based on these two types of features, to estimate suicide probability based on linguistic features. The experiment results indicate that LDA can find topics that relate to suicide probability, and improve the performance of prediction. 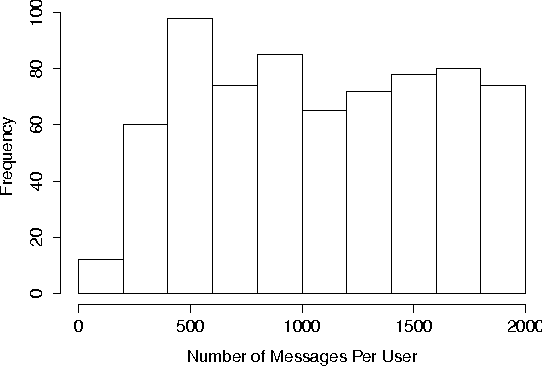 Our study adds value in prediction of suicidal probability of social network users with their behaviors. In this paper, we propose an Attentional Generative Adversarial Network (AttnGAN) that allows attention-driven, multi-stage refinement for fine-grained text-to-image generation. With a novel attentional generative network, the AttnGAN can synthesize fine-grained details at different subregions of the image by paying attentions to the relevant words in the natural language description. In addition, a deep attentional multimodal similarity model is proposed to compute a fine-grained image-text matching loss for training the generator. The proposed AttnGAN significantly outperforms the previous state of the art, boosting the best reported inception score by 14.14% on the CUB dataset and 170.25% on the more challenging COCO dataset. 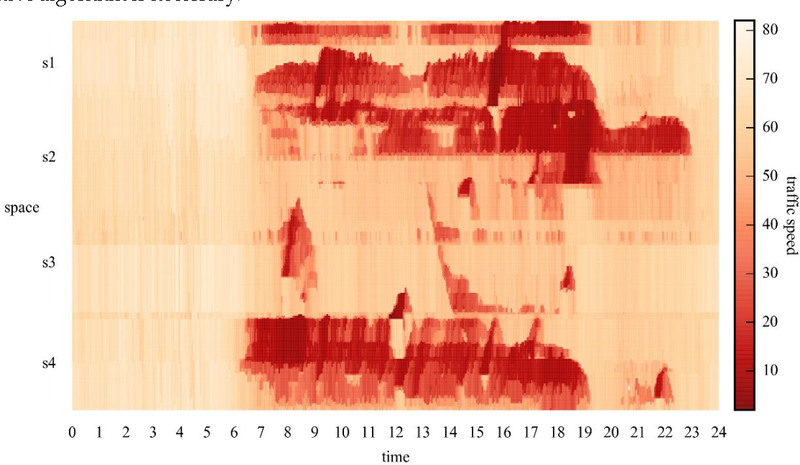 A detailed analysis is also performed by visualizing the attention layers of the AttnGAN. It for the first time shows that the layered attentional GAN is able to automatically select the condition at the word level for generating different parts of the image. Suicide is among the leading causes of death in China. However, technical approaches toward preventing suicide are challenging and remaining under development. Recently, several actual suicidal cases were preceded by users who posted microblogs with suicidal ideation to Sina Weibo, a Chinese social media network akin to Twitter. It would therefore be desirable to detect suicidal ideations from microblogs in real-time, and immediately alert appropriate support groups, which may lead to successful prevention. 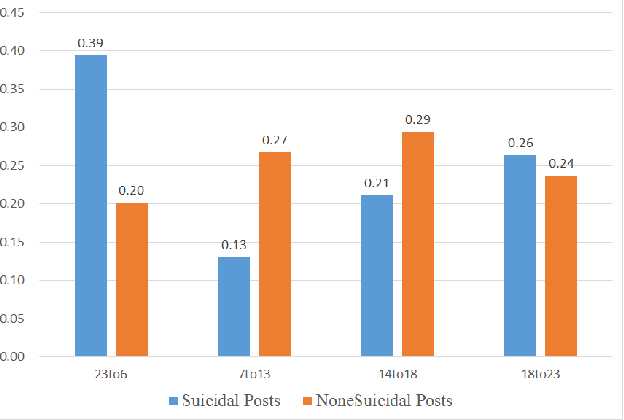 In this paper, we propose a real-time suicidal ideation detection system deployed over Weibo, using machine learning and known psychological techniques. 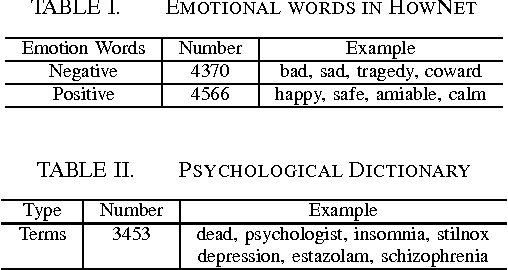 Currently, we have identified 53 known suicidal cases who posted suicide notes on Weibo prior to their deaths.We explore linguistic features of these known cases using a psychological lexicon dictionary, and train an effective suicidal Weibo post detection model. 6714 tagged posts and several classifiers are used to verify the model. By combining both machine learning and psychological knowledge, SVM classifier has the best performance of different classifiers, yielding an F-measure of 68:3%, a Precision of 78:9%, and a Recall of 60:3%. Synthesizing high-quality images from text descriptions is a challenging problem in computer vision and has many practical applications. Samples generated by existing text-to-image approaches can roughly reflect the meaning of the given descriptions, but they fail to contain necessary details and vivid object parts. In this paper, we propose Stacked Generative Adversarial Networks (StackGAN) to generate 256x256 photo-realistic images conditioned on text descriptions. We decompose the hard problem into more manageable sub-problems through a sketch-refinement process. The Stage-I GAN sketches the primitive shape and colors of the object based on the given text description, yielding Stage-I low-resolution images. The Stage-II GAN takes Stage-I results and text descriptions as inputs, and generates high-resolution images with photo-realistic details. It is able to rectify defects in Stage-I results and add compelling details with the refinement process. To improve the diversity of the synthesized images and stabilize the training of the conditional-GAN, we introduce a novel Conditioning Augmentation technique that encourages smoothness in the latent conditioning manifold. Extensive experiments and comparisons with state-of-the-arts on benchmark datasets demonstrate that the proposed method achieves significant improvements on generating photo-realistic images conditioned on text descriptions. Objective: Ultrahigh-resolution optical coherence microscopy (OCM) has recently demonstrated its potential for accurate diagnosis of human cervical diseases. One major challenge for clinical adoption, however, is the steep learning curve clinicians need to overcome to interpret OCM images. Developing an intelligent technique for computer-aided diagnosis (CADx) to accurately interpret OCM images will facilitate clinical adoption of the technology and improve patient care. Methods: 497 high-resolution 3-D OCM volumes (600 cross-sectional images each) were collected from 159 ex vivo specimens of 92 female patients. 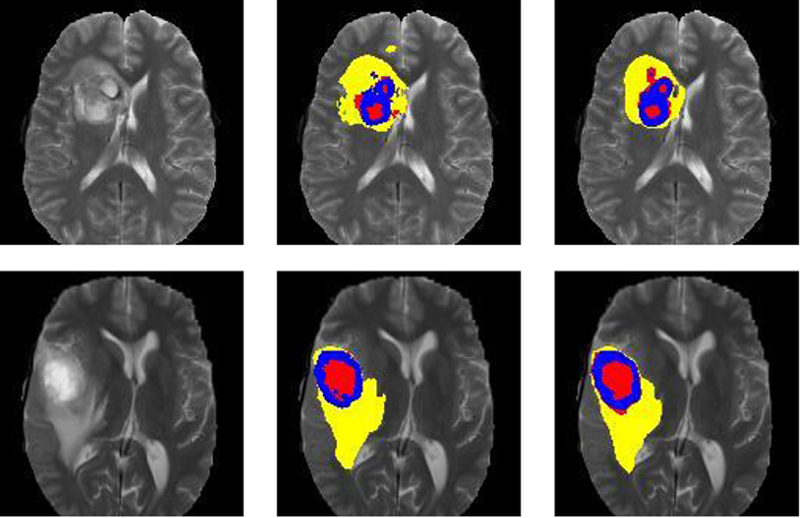 OCM image features were extracted using a convolutional neural network (CNN) model, concatenated with patient information (e.g., age, HPV results), and classified using a support vector machine classifier. 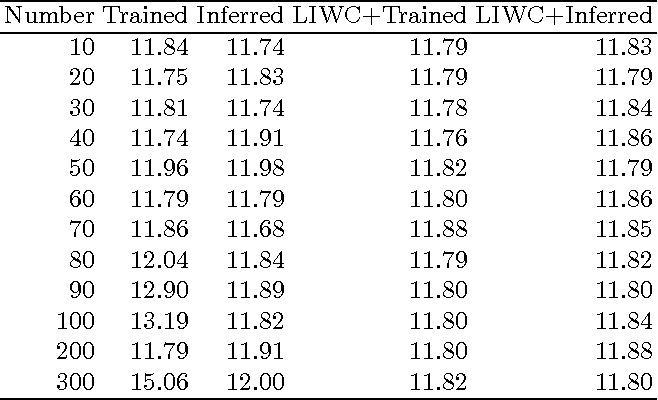 Ten-fold cross-validations were utilized to test the performance of the CADx method in a five-class classification task and a binary classification task. Results: An 88.3 plus or minus 4.9% classification accuracy was achieved for five fine-grained classes of cervical tissue, namely normal, ectropion, low-grade and high-grade squamous intraepithelial lesions (LSIL and HSIL), and cancer. In the binary classification task (low-risk [normal, ectropion and LSIL] vs. high-risk [HSIL and cancer]), the CADx method achieved an area-under-the-curve (AUC) value of 0.959 with an 86.7 plus or minus 11.4% sensitivity and 93.5 plus or minus 3.8% specificity. 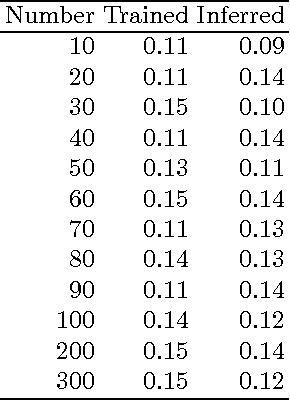 Conclusion: The proposed deep-learning based CADx method outperformed three human experts. It was also able to identify morphological characteristics in OCM images that were consistent with histopathological interpretations. Significance: Label-free OCM imaging, combined with deep-learning based CADx methods, hold a great promise to be used in clinical settings for the effective screening and diagnosis of cervical diseases. 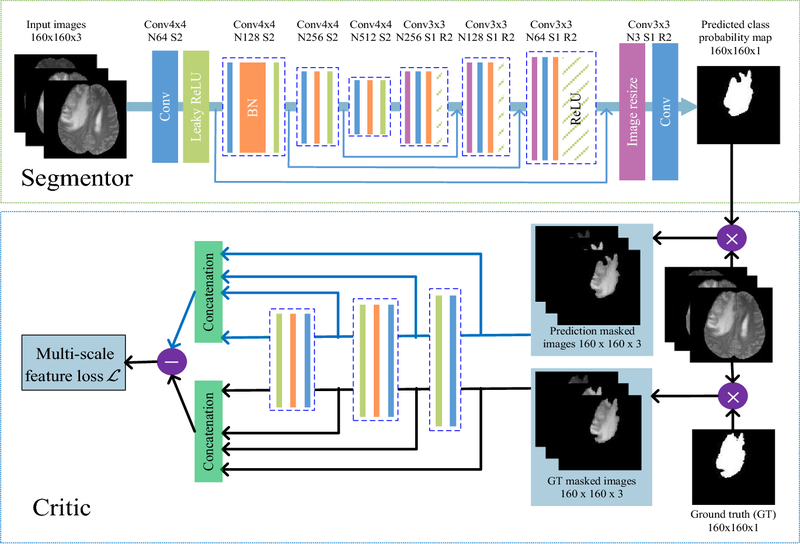 This paper proposes a convolutional neural network (CNN)-based method that learns traffic as images and predicts large-scale, network-wide traffic speed with a high accuracy. Spatiotemporal traffic dynamics are converted to images describing the time and space relations of traffic flow via a two-dimensional time-space matrix. A CNN is applied to the image following two consecutive steps: abstract traffic feature extraction and network-wide traffic speed prediction. The effectiveness of the proposed method is evaluated by taking two real-world transportation networks, the second ring road and north-east transportation network in Beijing, as examples, and comparing the method with four prevailing algorithms, namely, ordinary least squares, k-nearest neighbors, artificial neural network, and random forest, and three deep learning architectures, namely, stacked autoencoder, recurrent neural network, and long-short-term memory network. The results show that the proposed method outperforms other algorithms by an average accuracy improvement of 42.91% within an acceptable execution time. The CNN can train the model in a reasonable time and, thus, is suitable for large-scale transportation networks.